Too many products are labeled gluten-free yet contain ingredients (e.g., barley malt) not allowed in labeled gluten-free foods. 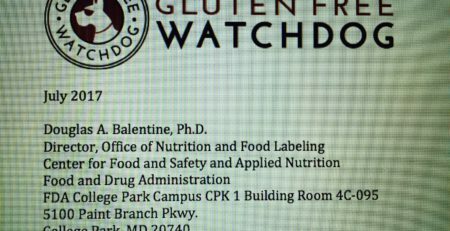 I support Gluten Free Watchdog’s citizen petition asking FDA to establish new reporting and investigation processes to address facial misbranding violations under the gluten-free labeling rule. What is facial misbranding? 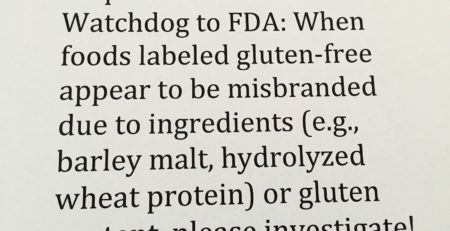 We are defining facial misbranding to be when a product label displays a “gluten-free” claim but the ingredients list includes an ingredient that is prohibited under FDA rules from being contained in any product labeled “gluten-free” (e.g., barley malt, barley malt extract, barley malt syrup, wheat [except in limited circumstances with clear additional markings and language]). What is an example of facial misbranding? Chips labeled gluten-free yet containing barley malt extract are facially misbranded. And soy sauce labeled gluten-free yet containing wheat is facially misbranded. FDA should establish a reporting system on its website for consumers/consumer groups to electronically report Facial Misbranding to FDA. 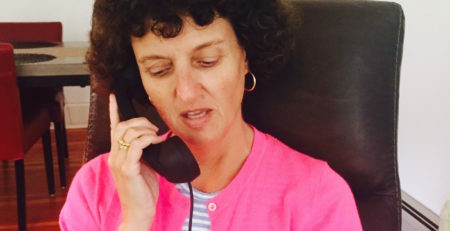 Because Facial Misbranding is plainly evident from the face of the label itself, the reporting would need only require the uploading of product photos that illustrate the gluten-free claim and the ingredients list (e.g., the photos attached as Attachments 1 through 6), along with a simple form for consumer input of relevant information such as product name, “Best by” or “Use by” dates and lot numbers. In order to curtail consumer exposure to misbranded and dangerous products, FDA should routinely issue a Warning Letter based on Facial Misbranding within thirty (30) days of receipt of an electronically submitted report demonstrating Facial Misbranding has occurred. 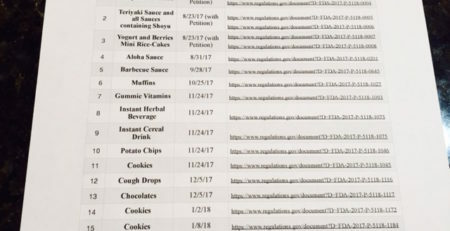 Alternatively, FDA could implement a “Facial Misbranding Initiative” under the Gluten-Free Labeling Rule, utilizing consumer submissions and information collected through other methods of surveillance. To the FDA and anyone else who has anything to do with labeling things Gluten Free. If you had a family member who is a celiac you would realize how important it is that we can not have the smallest amount of gluten without getting very sick. this is no fun!! we want to live long and healthy lives like everyone else to watch our children and grand children grow up. when we eat gluten it not only makes us sick but it causes us internal problems which can also shorten our lives. eating Gluten Free is a life saving diet for us not a fad diet. I agree that the FDA should have more control over “labeling” “claims” pertaining foods labeled gluten free. 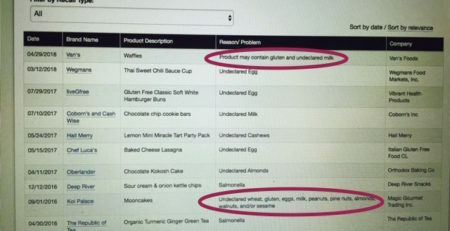 People with gluten allergies should be able to buy “gluten free foods” with confidence. 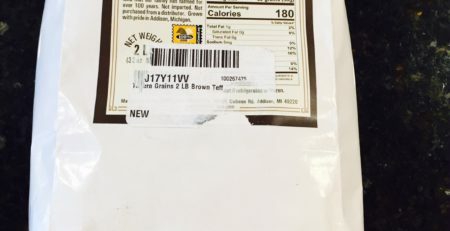 New to the Celiac/gluten free life since my five year old Type 1 Diabetic daughter was diagnosed with Celiac disease two weeks ago, labels are very confusing. Who would have thought that Rice Criapies were NOT gluten free!! Thanks for leading this charge! I posted and shared your article. I’m inviting everyone to sign this citizen petition asking FDA to address facial misbranding violations under the gluten-free labeling rule. Let the FDA hear from as many of us as possible. 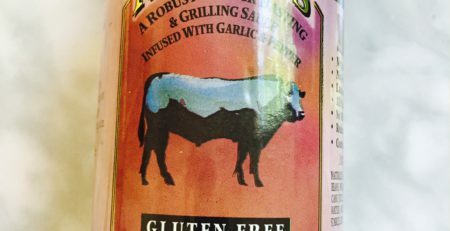 Gluten free needs to mean gluten free. I left a comment about we celiacs don’t have a choice, we must follow the diet or body parts die off slowly. I said this wouldn’t be allowed with allergies that cause immediate death, so why should it be tolerated for people who would suffer a slow death if they accidentally consumed gluten?